Justice Ashok Bhushan was sworn in today as the Chief Justice of Kerala High Court. 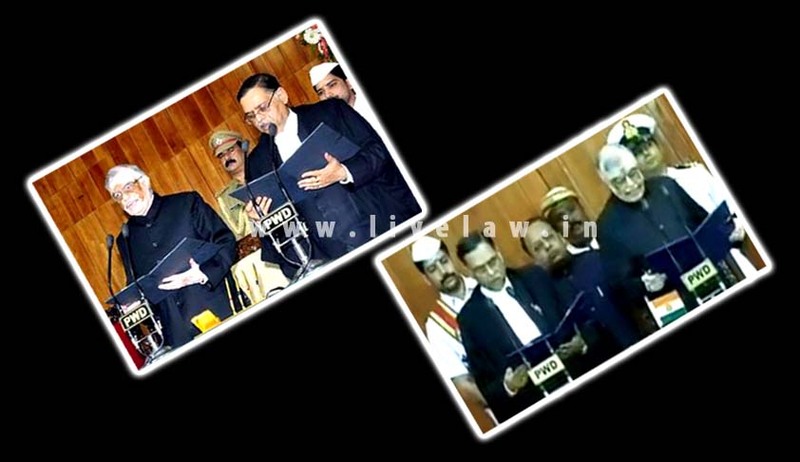 The oath was served by Governor P. Sathasivam at a function in the Raj Bhavan. The occasion saw the presence of Chief Minister Oommen Chandy, along with some of his cabinet colleagues. This is a rare event where 6 months ago the Acting Chief Justice had served the oath for appointment of P. Sathasivam as the Governor and now the Governor has done the same for appointment of Justice Ashok Bhushan as the Chief Justice of the High Court. Justice Bhushan graduated in Arts in 1975 and passed LL.B. in 1979 from Allahabad University. He began his journey as an advocate after enrollment on April 9, 1979 with the Bar Council of Uttar Pradesh. He worked as a Standing Counsel of Allahabad University, State Mineral Development Corporation Ltd. and Several Municipal Board, Banks & Educational Institutions. He was elevated as a permanent Judge on April 24, 2001 and was transferred to Kerala High Court on July 10, 2014. He was appointed Acting Chief Justice, following the transfer of Manjula Chellur to the Kolkata High Court.